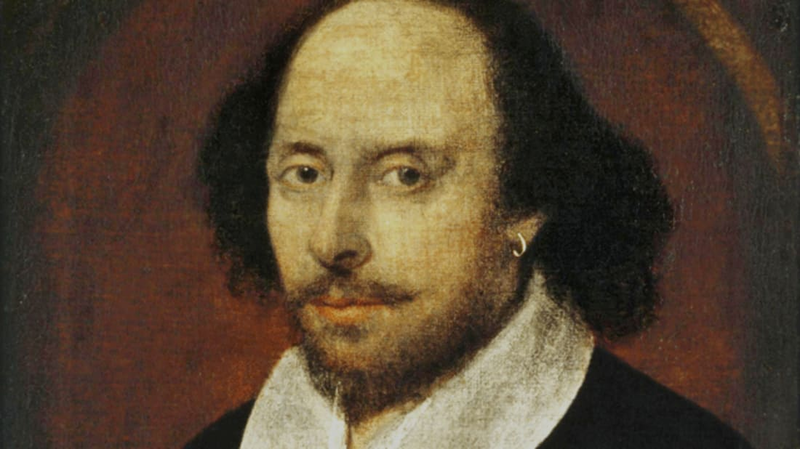 Despite his status as the most popular playwright of all time, there’s still a lot we don’t know about William Shakespeare. Questions have been raised about when exactly the bard was born and even whether or not he really was the author of the body of work that’s attributed to him. According to experts, the iconic image of the man with a well-coiffed mustache and receding hairline is also in dispute. Now, the cleaning of one of Shakespeare’s best-known portraits might provide a clearer image of what the writer looked like in real life. As The Art Newspaper reports, the National Portrait Gallery in London is considering a proposal to clean the Chandos portrait, one of the most famous pieces in their collection. The portrait dates back to between 1600 and 1610 and is considered to be the most accurate surviving depiction of William Shakespeare. The portrait was allegedly painted by a friend of Shakespeare's by the name of John Taylor. Not much else is known about Taylor’s identity, and there’s still disagreement over whether or not he was the real artist. Even with the shaky evidence, the Chandos portrait is still our most likely candidate for a portrait the bard himself actually sat for. Attempts to clean the portrait have been made in the past with little luck. The portrait bears abrasions from when it was cleaned in the 17th and 18th centuries. Retouches made over the years have also altered the portrait’s true appearance. The subject’s beard and hair have been lengthened, and the overlaying varnish has discolored with age to take on a yellowish hue. Just a thin layer of the original paint, which was conservatively brushed on to begin with, remains. The Chandos portrait has been with the National Portrait Gallery since they were founded in 1856, and no significant efforts to restore it have been made since. If the gallery’s trustees decide to go ahead with the cleaning, it could reveal a more faithful depiction of Shakespeare underneath—or it could point to a different sitter all together. A decision to move forward is expected to come next year, and before then the portrait will be lent out to the Royal Shakespeare Company for display at the Swan Theater.